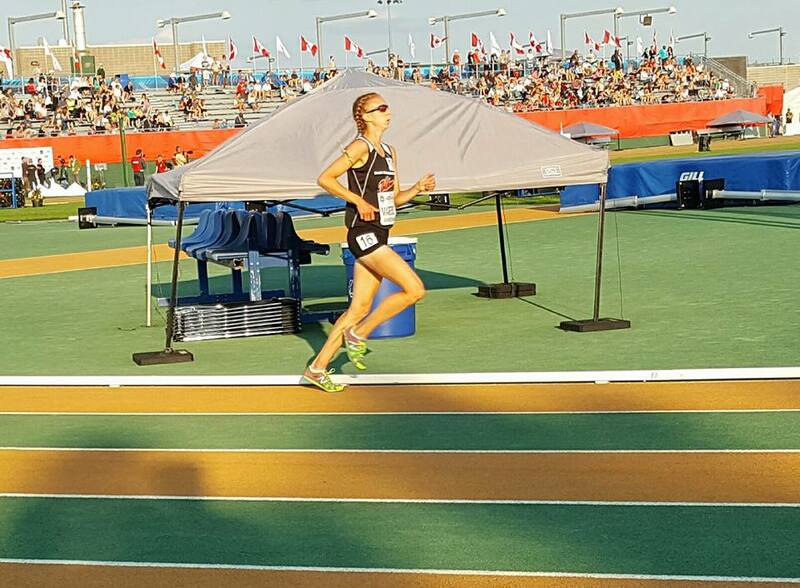 Wolves Athletics Club runner Mirelle Martens parlayed a strong final km into a ninth place finish in the 5000m at the 2016 Canadian Track and Field Championships/ Olympic Trials in Edmonton on Thursday evening. Martens recorded a personal best time of 16:54 in her first nationals as a senior athlete. Two other local athletes also competed in the meet. Hayden Hollowell placed 17th in the Qualifying Round for the 1500m in a seasonal best time of 4:08. Brandon Tufford was 14th in the Qualifying Round for the Junior Men’s 1500m. This entry was posted in Outdoor Track and Field and tagged Athletics Canada, Edmonton 2016, mirelle martens, Olympic Trials, Peace Country, Wolves Athletics Club. Bookmark the permalink.